Registration for Sorauren Park soccer and baseball takes place March 9, 2016. Be sure to have your Family and Client numbers (provided by Parks, Forestry and Recreation) available when you register. Register early as the spots fill quickly. Visit the Sorauren Park Sports website for more details including program codes and information on becoming a volunteer coach. The league runs on the steam and energy of Volunteers! 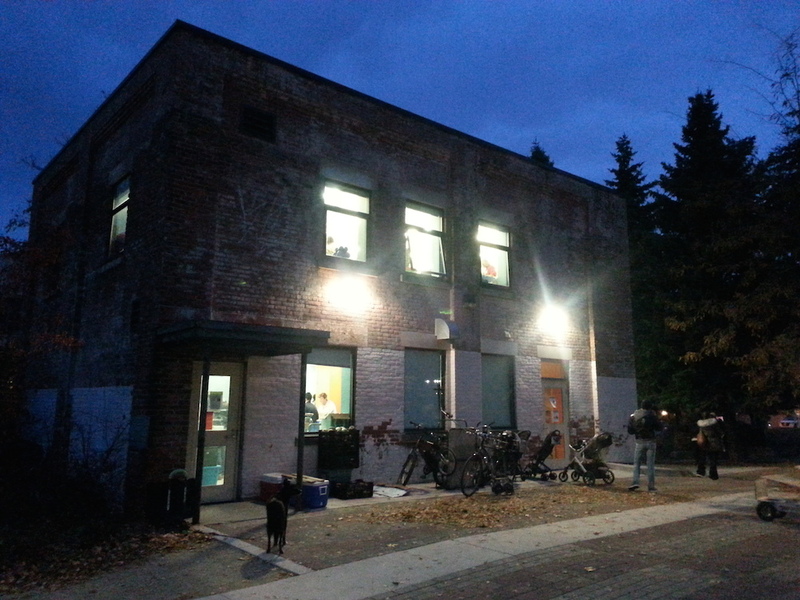 383 Sorauren Avenue. The park can be seen on the right. 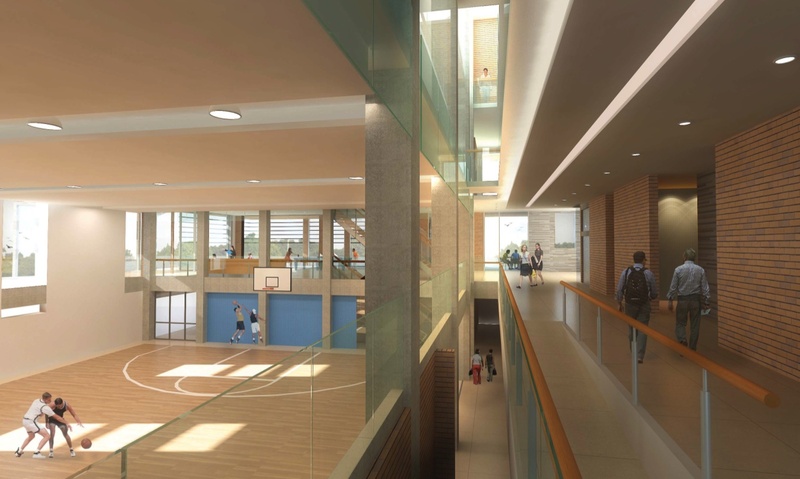 The City of Toronto is holding a community consultation regarding the condo plan for 383 Sorauren Avenue, north of park beside Robert Watson Lofts. The developer is requesting a zoning amendment to permit the development of an 11-storey mixed-use building with a total of 160 residential units and one small commercial unit. A total of 95 parking spaces are proposed in an underground parking lot. The meeting will be held Monday, Feb. 11 from 7 – 9 p.m. at Fern Avenue Public School, 128 Fern Ave. For more information, click to visit Councillor Gord Perks’s website. A set of keys was found by the rink on Saturday night Feb. 2. Contact dbennet@sympatico.ca to claim. The rain held off on Father’s Day for the fourth annual Little City Festival (formerly Totstock), highlighted by circus acts, story-telling, games, food and live music from very young to veteran musicians, including legendary singer and songwriter Andy Kim. 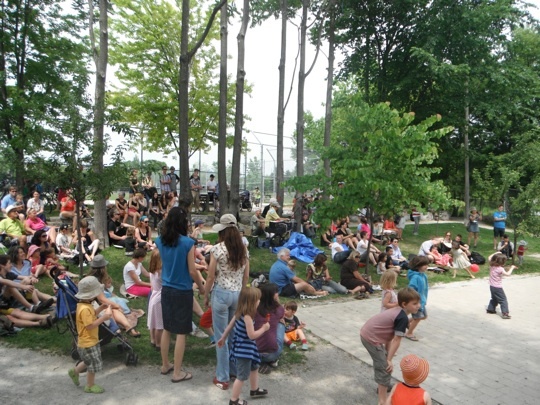 Thousands attended the event at Sorauren Park, firmly cementing the event as one of the park’s marquee events. The BBQ fundraiser for the Wabash Building Society’s Sorauren Town Square campaign was a big success… many thanks to DonateNaturally.com, which donated the organic hot dogs (and cooking staff! ), and No Frills at Lansdowne and Bloor for donating the condiments. Click here to see a great picture of Andy Kim’s band that rocked the crowd. 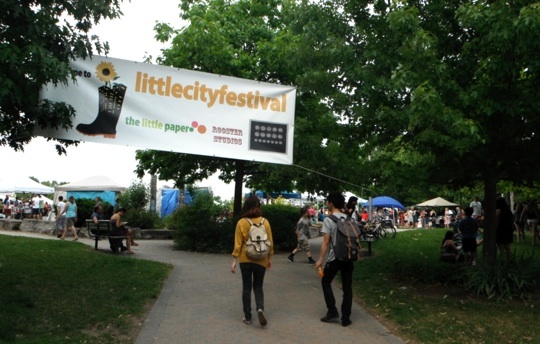 Congratulations to everyone at festival organizer The Little Paper and all the volunteers who made the day a success.